Nuacht na Scoile: Aonach na Leabhar ar an gCéadaoin seo!! / Book Fair this Wednesday!! Aonach na Leabhar ar an gCéadaoin seo!! / Book Fair this Wednesday!! Déanaigí ceiliúradh ar an léamh ag Aonach na Leabhar Scholastic! Beidh sé ag teacht chuig na scoile ar ball, leis na mílte leabhair páistí ar fáil. 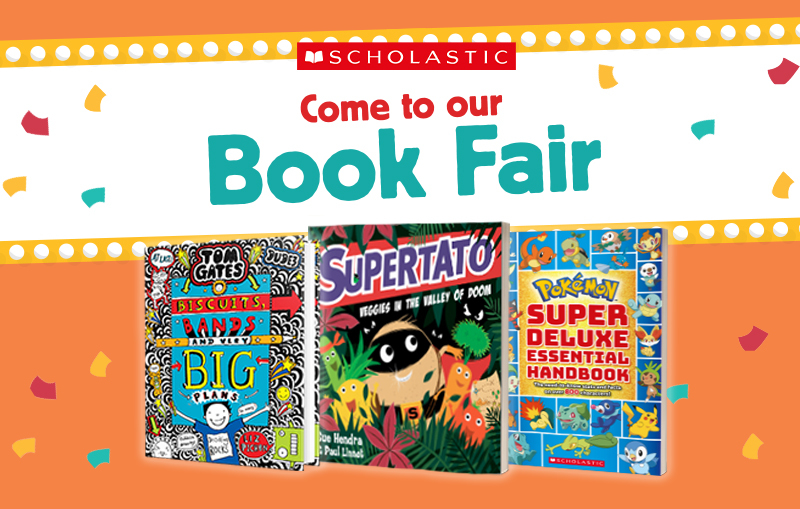 Celebrate reading at our Scholastic Book Fair! There are over 200 titles for you and your child to choose from, and with prices starting from only €3.70, there’s sure to be a book for everyone. If you can’t make it to our Book Fair, try our discounted Gift Vouchers available at www.bookfairs.scholastic.ie/parents. They’re a great way to ensure your child doesn’t miss out. Don’t forget that every book you buy can help to get FREE BOOKS for our school library!